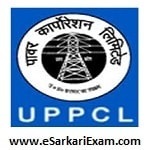 Eligible Candidates can Download JE Final Result at the Official Website of UPPCL. Applicants First Logon to UPPCL Official Website. Open Vacancy/Results Link at Home Page. Open Selected Candidate List for JE (T) Electrical Link.